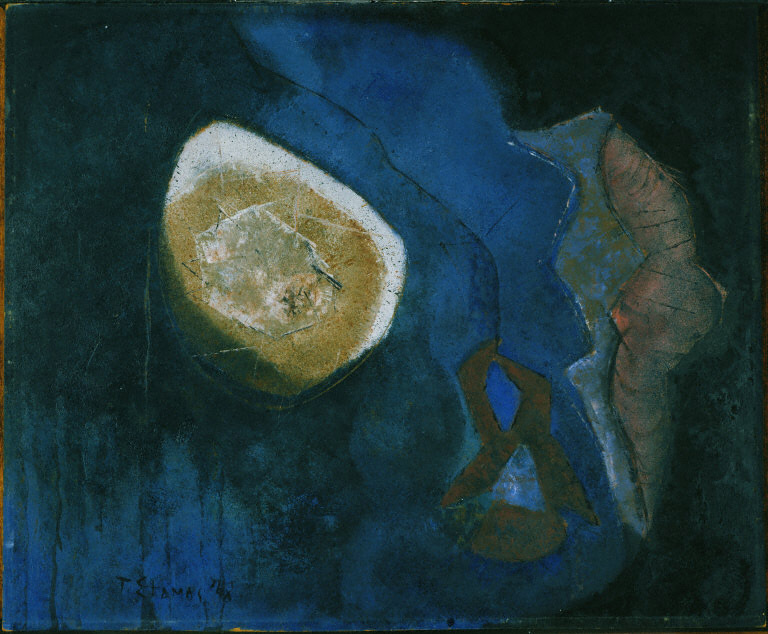 The son of Greek immigrants, Theodoros Stamos grew up on the Lower East Side of New York and exhibited an early talent for art, receiving a grant to attend the American Artists School at age 13. 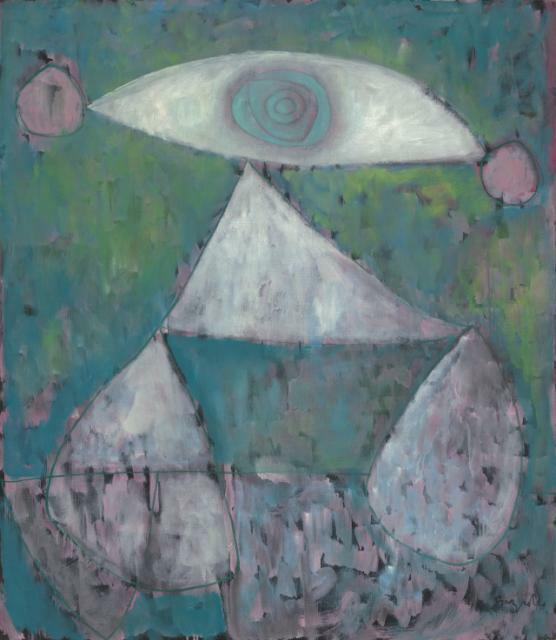 It was there that Stamos met artist Joseph Solman, an important mentor, whose own infectious love of Paul Klee was quickly instilled in his young protégé. Stamos not only recalled seeing “hundreds” of Klees on view regularly at New York’s commercial galleries, he also enjoyed physical contact with his art while working as a framer, handling paintings that Klee’s dealer brought to his 18th Street frame shop from 1941 to 1948. Unlike the artist’s earlier monochromatic variations on the motif, Kettledrummer combines thick black lines overlaid on roughly brushed washes of red. Klee used a graphic shorthand to suggest the upward and downward thrust of the mallets against the drum, symbolized by the lines ending in circular forms. 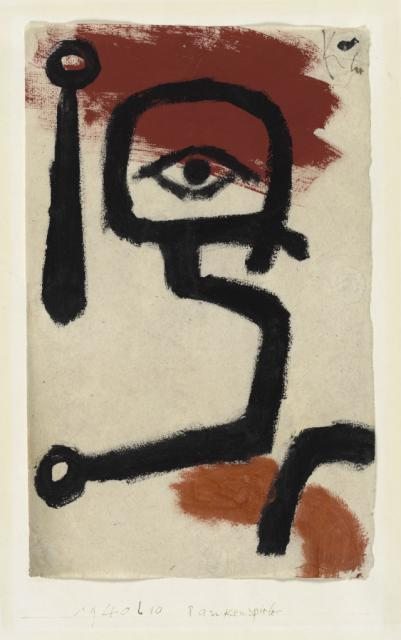 At the top, Klee playfully inscribed an eye within the arched line and black dot that denotes the fermata (musical sign to indicate a pause).